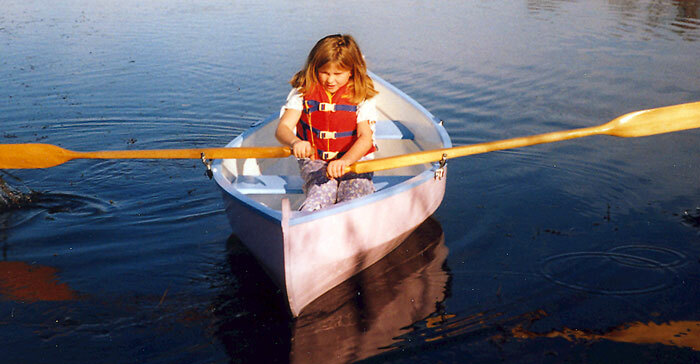 Using Phil Bolger's "Sweet Pea" design for inspiration, Allen Head designed this boat for his 9-year-old daughter, Casey. With an overall length of 9', CASEY'S BOAT is constructed from 6mm Meranti plywood. Casey did much of the painting. 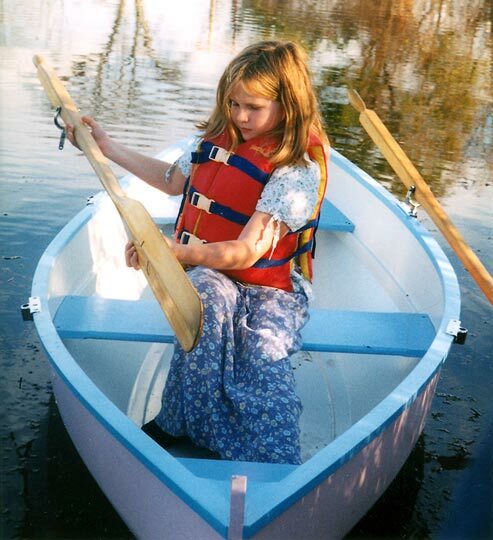 They launched her in November 2001 on a small pond near Concord, NH. Write to Allen and Casey at 24-1/2 Gladstone Street, Concord, NH 03301.